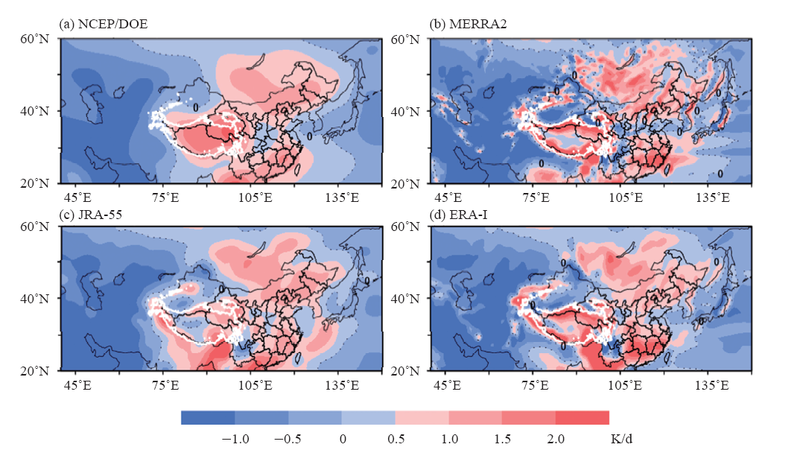 The atmospheric heat source (AHS) over Tibetan Plateau (TP) during 1980-2016 was calculated using four reanalysis data (NCEP/DOE, MERRA2, ERA-Interim and JRA-55 data), and the uncertainties was also discussed. The main conclusions are as follows: (1) Methods and data can both make deviation. Indirect method can not only get the whole layer of AHS, but also the vertical structure of AHS, while its estimation precision mainly depends on reanalysis data. (2) Compared with four reanalysis data, we found that adopting two methods with ERA-Interim data can get consistent inter-decadal variation of AHS over TP, while the AHS value calculated by direct method is greater than the indirect method. The results from four reanalysis data by indirect method obtained the obviously identical decadal variation during 1980-2016. (3) Positive AHS mainly distributed in the center and eastern of TP during March-August, and the vertical structure of AHS is “source-sink-source” from surface to high troposphere. (4) The results revealed that latent heat flux calculated by ERA-Interim data is stronger in the western and southern Gangdise, and is weaken in the south slope of Himalaya range. 罗小青,徐建军. 青藏高原大气热源及其估算的不确定性因素[J]. 气候变化研究进展, 2019, 15(1): 33-40. Xiao-Qing LUO,Jian-Jun XU. 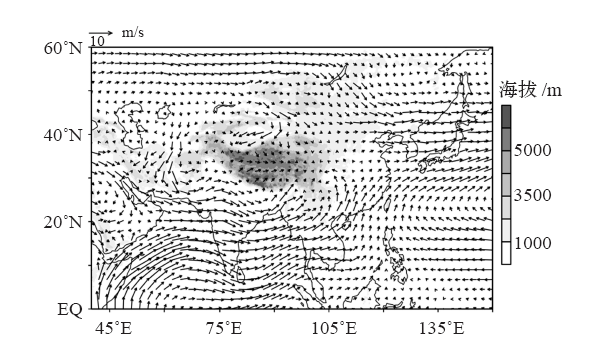 Estimate of atmospheric heat source over Tibetan Plateau and its uncertainties. Climate Change Research, 2019, 15(1): 33-40. 吴芳营 游庆龙 谢文欣 张玲. 全球变暖1.5℃和2℃阈值时青藏高原气温的变化特征[J]. 气候变化研究进展, 2019, 15(2): 130-139. 方一平 朱付彪 宜树华 邱孝枰 丁永建. 多年冻土对青藏高原草地生态承载力的贡献研究[J]. 气候变化研究进展, 2019, 15(2): 150-157. 江晓菲,李伟,游庆龙. 中国未来极端气温变化的概率预估及其不确定性[J]. 气候变化研究进展, 2018, 14(3): 228-236. 乔德京, 王念秦, 李震, 周建民, 符喜优. 1980—2009水文年青藏高原积雪物候时空变化遥感分析[J]. 气候变化研究进展, 2018, 14(2): 137-143. 胡恒智, 顾婷婷, 田展. 气候变化背景下的洪涝风险稳健决策方法评述[J]. 气候变化研究进展, 2018, 14(1): 77-85. 江远安, 尹宜舟, 陈鹏翔, 孙赫敏, 樊静. 1961-2014年新疆降水极值概率特征及拟合不确定性分析[J]. 气候变化研究进展, 2017, 13(1): 52-60. 段安民, 肖志祥, 吴国雄. 1979—2014年全球变暖背景下青藏高原气候变化特征[J]. 气候变化研究进展, 2016, 12(5): 374-381. 向洋, 李维京. 春季中国西南降水与青藏高原及周边非绝热加热之间的关系[J]. 气候变化研究进展, 2016, 12(5): 422-431. 李红梅, 李林. 2℃全球变暖背景下青藏高原平均气候和极端气候事件变化[J]. 气候变化研究进展, 2015, 11(3): 157-164. 刘艳丽,张建云,王国庆,金君良,鲍振鑫,刘翠善,胡庆芳. 环境变化对流域水文水资源的影响评估及不确定性研究进展[J]. 气候变化研究进展, 2015, 11(2): 102-110. 崔鹏, 陈容, 向灵芝, 苏凤环. 气候变暖背景下青藏高原山地灾害及其风险分析[J]. 气候变化研究进展, 2014, 10(2): 103-109. 张晓华, 高云, 祁悦, 傅莎. IPCC第五次评估报告第一工作组主要结论对《联合国气候变化框架公约》进程的影响分析[J]. 气候变化研究进展, 2014, 10(1): 14-19. 滕飞 何建坤 高云 董文杰. 2℃温升目标下排放空间及路径的不确定性分析[J]. 气候变化研究进展, 2013, 9(6): 414-420. 王敏 周才平 吴良 徐兴良 欧阳华. 2001—2010年青藏高原干湿格局及其影响因素分析[J]. 气候变化研究进展, 2012, 8(5): 320-326. 曲斌 康世昌 陈峰 张拥军 张国帅. 2006—2011年西藏纳木错湖冰状况及其影响因素分析[J]. 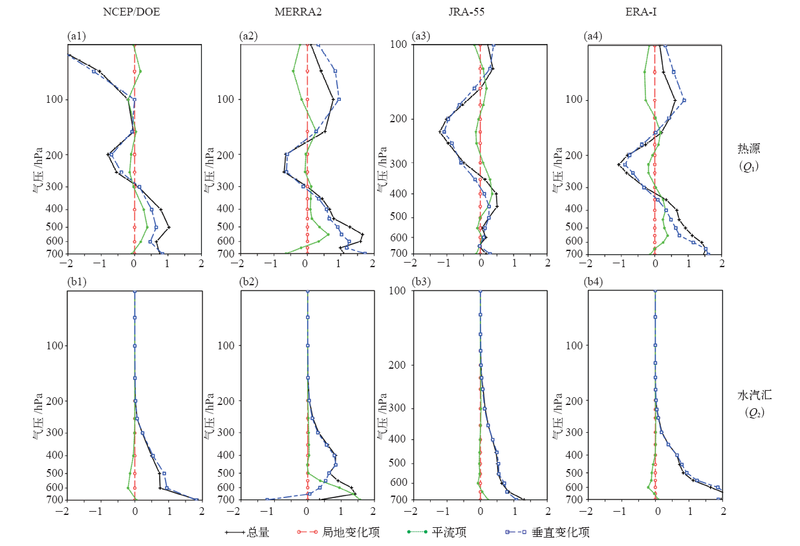 气候变化研究进展, 2012, 8(5): 327-333.
 . A New Method to Construct Anomaly Series of Climatic Energy Consumption for Urban Residential Heating in Jilin Province[J]. Climate Change Research, 2008, 04(001): 32 -36 .
 . Analysis of Factors Impacting China's CO2 Emissions During 1971-2005[J]. Climate Change Research, 2008, 04(001): 42 -47 . Cao Guoliang;Zhang Xiaoye; Wang Yaqiang;et al.. Inventory of Black Carbon Emission from China[J]. Climate Change Research, 2007, 03(00): 75 -81 .
 . Dryness/Wetness Changes in Qinghai Province During 1959-2003[J]. Climate Change Research, 2007, 03(06): 356 -361 . Xu Xiaobin;Lin Weili; Wang Tao;et al.. Long-term Trend of Tropospheric Ozone over the Yangtze Delta Region of China[J]. Climate Change Research, 2007, 03(00): 60 -65 . Gao Qingxian; Du Wupeng; Lu Shiqing;et al.. Methane Emission from Municipal Solid Waste Treatments in China[J]. Climate Change Research, 2007, 03(00): 70 -74 .
 . Guide to Authors[J]. Climate Change Research, 2006, 02(00): 84 .
 . Granger Causality Test for Detection and Attribution of Climate Change[J]. 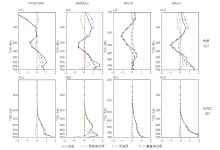 Climate Change Research, 2008, 04(001): 37 -41 .
 . AIntra-annual Inhomogeneity Characteristics of Precipitation over Northwest China[J]. Climate Change Research, 2007, 03(05): 276 -281 .
 . Projection of Future Precipitation Extremes in the Yangtze River Basin for 2001-2050[J]. Climate Change Research, 2007, 03(06): 340 -344 .